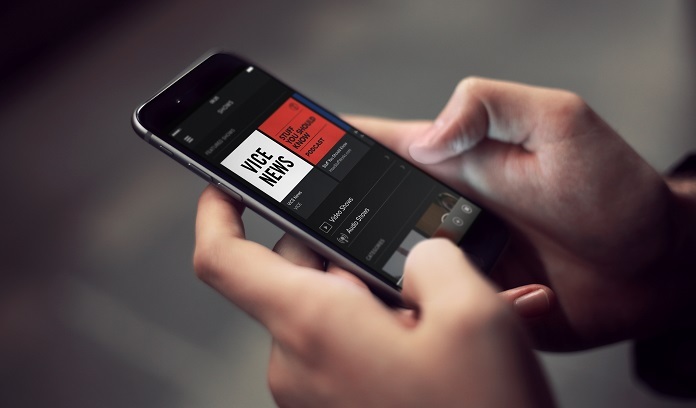 Spotify has unveiled its slate of original video programming for 2016. 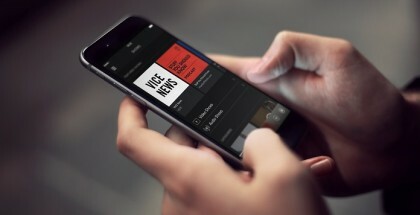 The music subscription service first entered the video game last year, when it added clips from parters such as Comedy Central to its platform. Now, the company is doubling down with a commitment to a whole range of original video content, designed to keep its 75 million users tuning in – and not tuning out for rivals, such as YouTube, which also offers a smorgasbord of video. Its first slate will feature 12 concepts, highlighting performances, pop culture, musical storytelling, animation and culture – all ideas that are tied to the service’s music roots. “We are working with artists, producers and partners who understand that the Spotify audience has a strong connection to artists and wants to go deeper into their worlds, see their performances and expressions, and hear their stories,” added Calderone in an official statement. Calderone joined Spotify after a long stint at Viacom Inc, where he helped to turn celebrities such as Snoop Dogg into reality TV stars. He is joined by Van Toffler, former president of MTV and VH1, whose company Gunpower & Sky will produce Drawn & Recorded for Spotify. The videos will be released later this year – in the summer or autumn – to users in the USA, UK, Germany and Sweden on both iOS and Android devices. Two hip-hop artists (one legend, one young buck) are picked up in a van during the height of LA rush hour. As they drive to an undisclosed location they must come up with a remix or mashup of one of their well-known tracks. Once done, they arrive at the downtown LA parking lot stage of Russell Simmon’s new company All-Def Digital, where they perform their new collaboration (as well as other songs) before a crowd of fans. Comprised of exclusive interviews, archival footage, and “unique” multi-media elements, each episode of Landmark brings to life the story of an important moment or movement in music history. Each installment is accompanied by a long-form podcast giving in-depth analysis of specific tracks. Two episodes have been filmed so far, one about the Beach Boys album Pet Sounds and the other about Metallica. Featuring narration from Oscar-winner T-Bone Burnett and animation from Drew Christie, each episode of Drawn & Recorded tells a anecdote from music history. The stories will range from introspective to comic, and feature artists from across the music spectrum. Life in Short is an anthology series celebrating “music’s most enigmatic artists”. Each 24-episode season covers a single artist and each sub-2 minute episode uses a different narrative device (animation, documentary, tribute performance) to highlight one key aspect of the artist’s life. Episodes will run the gamut from funny to inspiring, to sombre. Two celebrities trade Spotify playlists for a day, in the process discovering new music, learning a bit about each other, and highlighting all the ways music is tied to identity and culture. Shot in Spotify’s brand new, state-of-the-art music studio in NYC, this series gives viewers fly-on-the-wall access to artists as they record new takes on their most well-known songs. SINGLES will “have a super-intimate, almost ‘low-fi’ feel”. While the series will have a consistent look, visual elements will be tweaked to align with each artist’s sensibilities. In each episode of this true crime series, Spotify will profile a “notorious crime from the music world”. “From the PCP-fueled cannibalism of rapper Big Lurch to the murder-for-hire plot hatched by the singer of metal band As I Lay Dying, we’ll get the full story of how some of music’s biggest and most promising acts went tragically down the wrong path,” says Spotify. From Academy Award® winner Tim Robbins comes Ultimate/Ultimate — a comedic, mockumentary series following several passionate (but modestly talented) people competing in a competition to become the next great EDM star. From pint-sized phenom DJ Sparkle, to frat brothers channeling their inner Daft Punk, the series explores the hilarious, endearing and absurd lengths people will go to to pursue their musical passions. Two generations of hip-hop stars come together to create new versions of their most notable songs. Each installment of the series will feature musical performance along with documentary segments about the experience. Flash Frame is Spotify’s “rejuvenation of the music video format”. Once a month an A-list act will perform at Spotify’s New York City office. The show will be captured on video. After the fact, additional visual assets will be sourced, shot or created (animation, archival footage, additional video production, etc.) and intercut with one of the performed tracks to build a narrative around the song’s theme. Music video directors, animators, CG artist and other creative trendsetters will be tapped to help craft each distinctive episode. A data-driven performance series that “lives at the intersection of music, culture and Spotify”. Spotify will identify a popular band in a key market, and have them play an exclusive show for Super Fans sourced through Spotify’s data. In addition to the performance, each 5-segment installment features segments profiling the fans and the music culture of that particular locale.